78 • FOODSERVICE EQUIPMENT & SUPPLIES • FEBRUARY 2019 functional by design Grab-and-Go By Dana Tanyeri T he ultimate marriage of retail and foodservice, grab-and-go also represents the ultimate way to give modern consumers what they seem to want most — fast, conve- nient, anywhere, anytime meals and snacks. 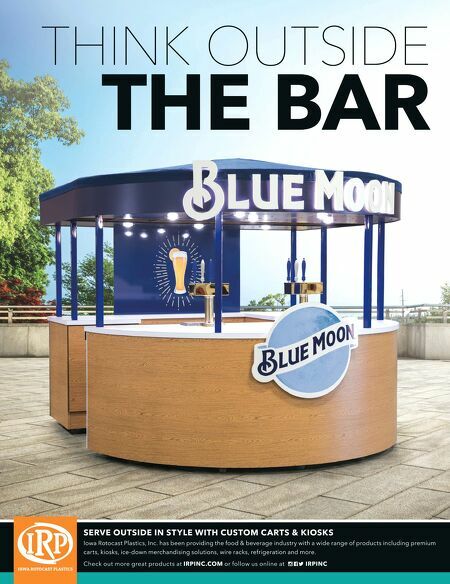 In almost every industry segment, from healthcare, corporate and campus din- ing to K-12, QSRs and even full-service restaurants, grab-and-go continues to grab attention and sales. And it seems relatively easy. Adding an attractive self-service case stocked with an assortment of packaged foods and beverages can create extra revenue without a lot of dedicated labor or operational complexity. An increasing number of op- erators are even testing retail-style markets — separate or incorporated into existing spaces — in which customers simply scan and pay for their own grab-and-go items with no cashier required. 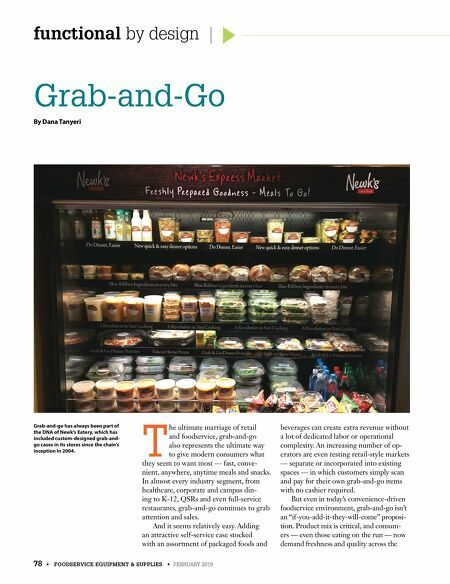 But even in today's convenience-driven foodservice environment, grab-and-go isn't an "if-you-add-it-they-will-come" proposi- tion. Product mix is critical, and consum- ers — even those eating on the run — now demand freshness and quality across the Grab-and-go has always been part of the DNA of Newk's Eatery, which has included custom-designed grab-and- go cases in its stores since the chain's inception in 2004.